Comes in gatefold cardboard cover. 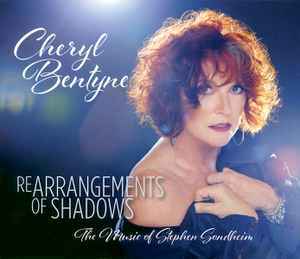 Cheryl Bentyne re-imagines the broadway songs of Stephen Sondheim. Her sparkling vocals bring appropriate theatrical emotion to each song, making the comedy and tragedy her own. The music is based around piano, drums and bass. The 6 arrangers featured on this album bring creative experimental approaches to each song, bringing varied timing that makes them so jazzy they no longer sound like musical songs. The sound switches between being sparse and multi-layered, and sometimes has hints of bosa nova, acapella, and baroque. Playful and full of energy.